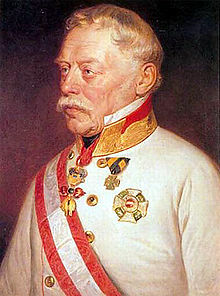 Radetzky Mairch, Op. 228, is a mairch componed bi Johann Strauss Sr. in 1848. It wis dedicatit tae the Field Marshal Joseph Radetzky von Radetz an suin acame quite popular amang regimented marchin sodgers. It haes been remarked that its tone is mair celebratory nor martial; Strauss wis commissioned tae write the piece tae commemorate Radetzky's victory at the Battle o Custoza.